Mirrors are powerful, yet thankless objects. 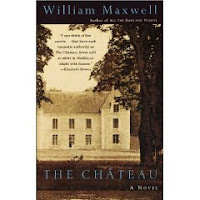 They are not judgmental, but nothing comes of their reflections when left to their own volition. They are demanding, though, requiring consistent nurturing to emit any emotions at all. When their qualities are properly tended to, their shiny properties are capable of capturing and projecting the soul of their surroundings or illusions of the people who chance to peer into them. I was reminded of an inspiring mirror in my Croatian friend Marino Krstacic-Furic’s hallways. Always filled with enthusiasm and creative energy, Marino gets an idea in his head and attacks with gusto, sometimes resulting in a bull-in-a-china-shop situation like the one that resulted in the broken mirror just a few days before our arrival to his charming home in Rjieka. For some people, a cracked mirror would signal doom and gloom. But for Marino, it offered a canvas of opportunity to display hope and joy. He drew attention away from the broken corner of the mirror by covering it with a duo of framed prints: one of peppy, colorful exclamation points and another of a dark forest. And when you study the reflection further, you take away a bit of Marino’s hopeful attitude. At the top of the picture of Marino's looking glass, you'll notice a tried and true symbol of luck leaning against the floor molding -- a rusty old horse shoe! Sometimes we ignore what the mirror is capable of telling us and become distracted by what we view as ugly or hideous. Beyond that cracked image is there a patina of beauty? A twinkle of hope? Look closely. It might be right in front of you. 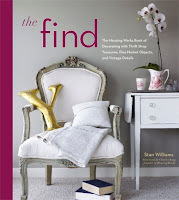 In May 2009, Clarkson Potter will publish my book, The Find: The Housing Works Book of Decorating with Thrift Shop Treasures, Flea Market Objects, and Vintage Details. Oh!!! - I am so excited!!!! I'm so proud of you, Stan. So VERY proud!